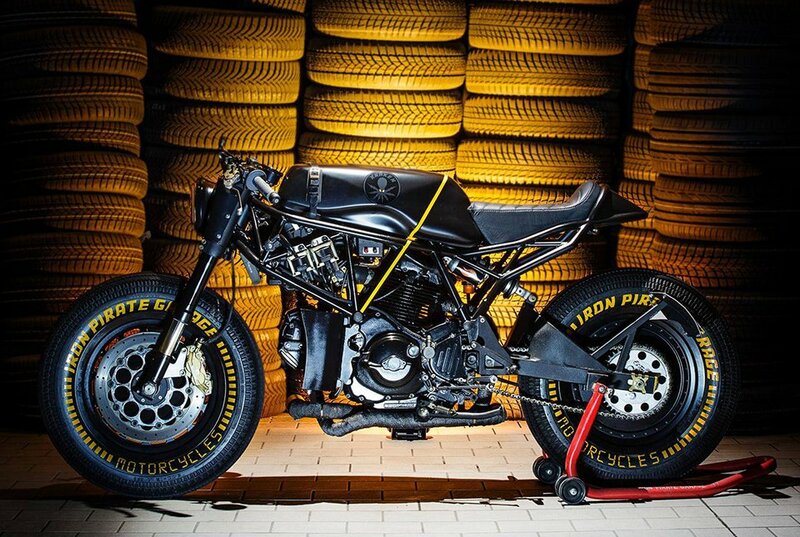 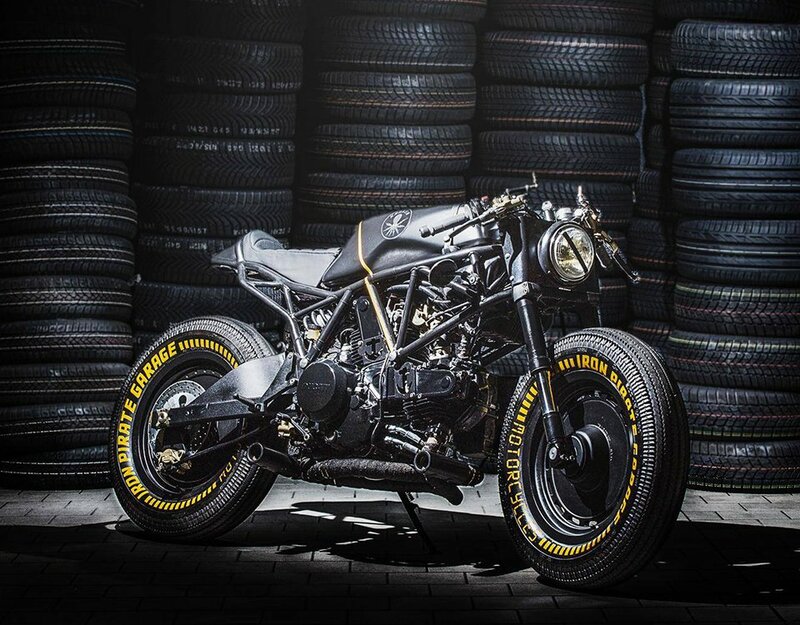 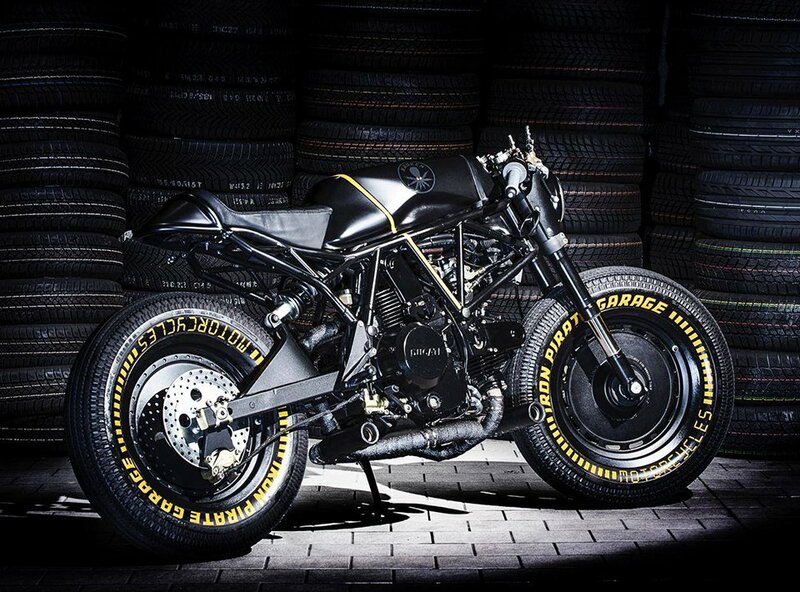 Iron Pirate Garage turned the top-heavy Ducati Supersport 750 into a visually balanced post-apocalyptic bobber. 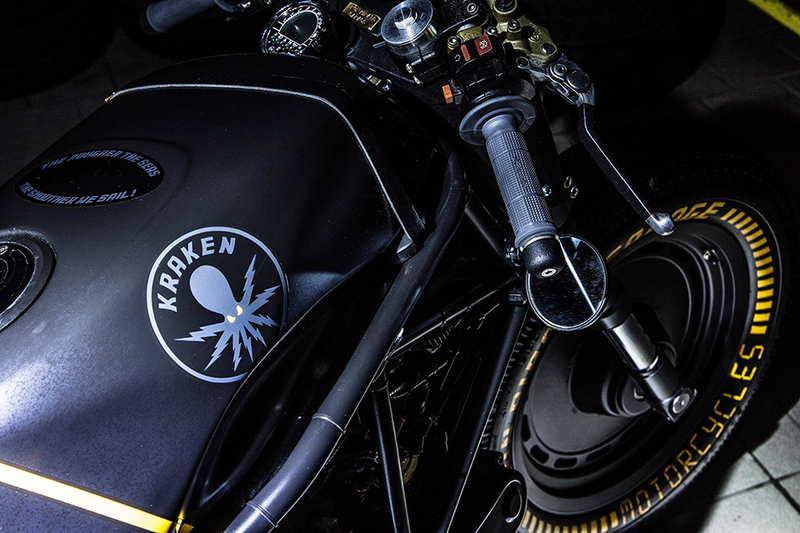 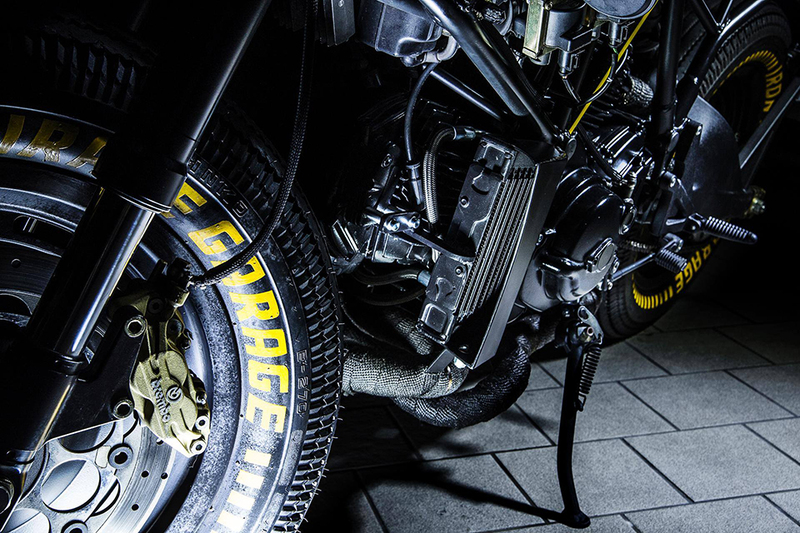 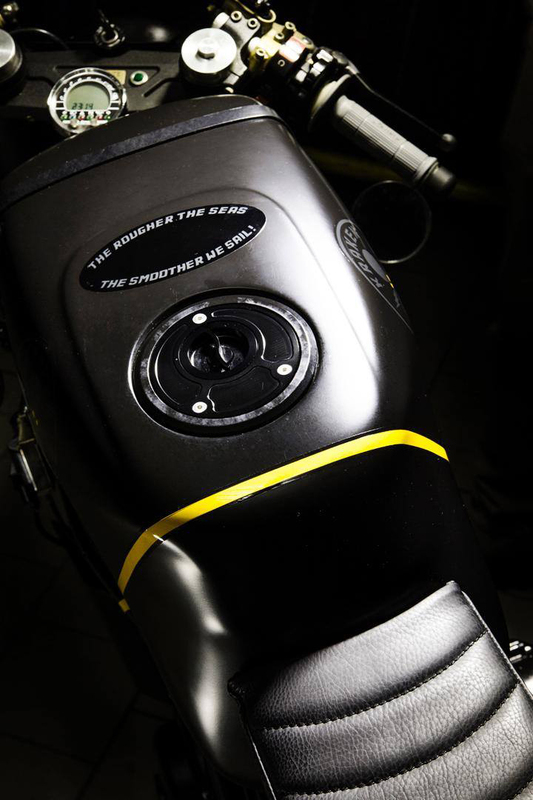 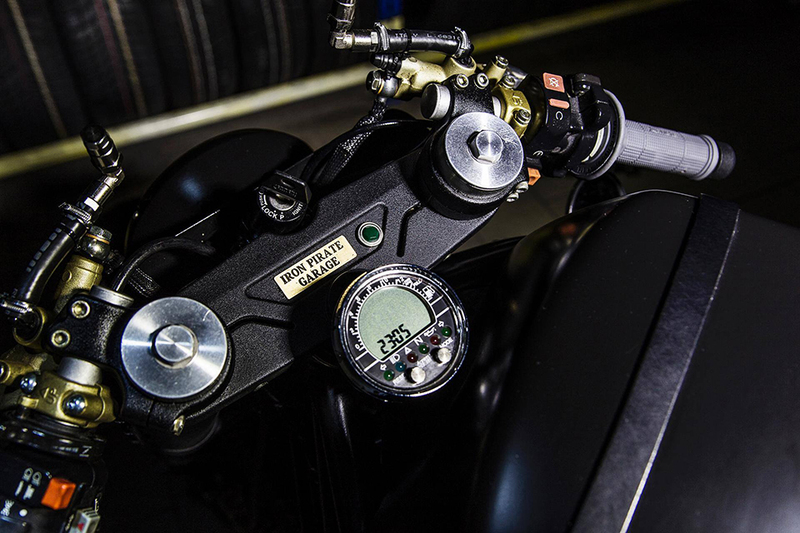 The Kraken’s custom made rear subframe, tank, horizontal exhausts and more. 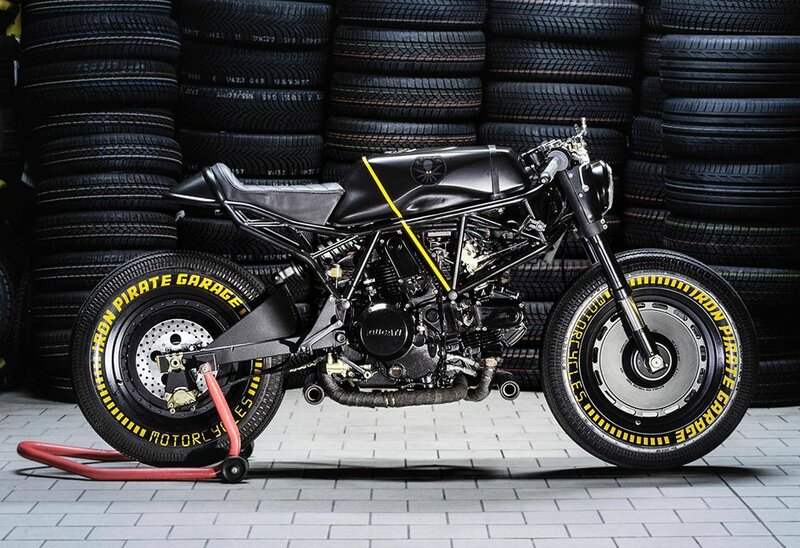 The yellow stripe is a nice visual break and homage to the 750 Imola.